The Lichtenstein Awards Banquet will be held at The Cornell Club on Wednesday May 8. This year, as you have probably heard, we will be presenting the Alfred F. Lichtenstein Memorial Award for Distinguished Service to Philately to Christopher M.B. King of the United Kingdom. Chris’s contribution to the heritage of our hobby, particularly the preservation of philatelic literature, is remarkable. He guided the digitization of the Crawford Library at the British Library and co-founded the Global Philatelic Library, which consolidates 27 philatelic libraries around the world. 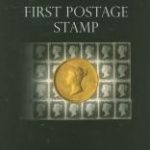 He is a past president and Fellow of the Royal Philatelic Society, London, serves as an international judge in Postal History and has held many other notable positions. Chris signed the Roll of Distinguished Philatelists in 2014. He has won international Gold and Large Gold medals for a variety of exhibits, including the postal history of the Duchy of Schleswig, Denmark in the Napoleonic Wars, Ephemera of Denmark and Germany during wars of 1848-1851 & 1864, The City of Lübeck, Deltiology of Schleswig, and Copenhagen Kiosk Postal Services and Telegrammes 1895-1940. At the dinner, we will also be awarding our annual prizes for the best article in the Collectors Club Philatelist (henceforth to be known as the Robert P. Odenweller Award); the best lecture and presentation; the winner of our annual One-Frame Competition; and the Friendship Cup. In addition, it will be my pleasure to present the President’s Medal to Debby Friedman and K. David Steidley for their outstanding service to the Collectors Club. The Cornell Club is located at 6 East 44th Street, between Fifth and Madison Avenues, just steps from Grand Central Terminal. The cocktail hour, with hors d’oeuvres consisting of a seafood buffet and crudités, and a full open bar, begins at 6:30 pm. The sit-down dinner, wine included, follows at 7:30 pm. The cover charge for the dinner is $125 per person. You will find menu choices (including vegan and gluten-free options) and payment information at collectorsclub.org and on the reply form that is being mailed to you. Please reply by Monday, April 29, 2019. Lastly, we would like to extend our sincere thanks to H.R. Harmer and the Global Philatelic Network for their generous support of this year’s event. Their kind donation allows us to keep the individual cover charge as low as possible. I look forward to your joining us in raising a toast to Chris and the others on May 8!